Former President's Chief of Staff I.H.K. 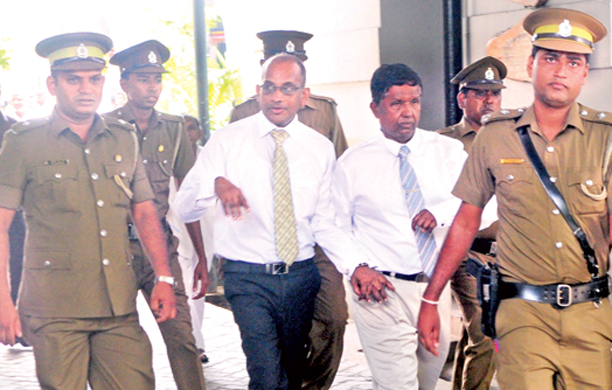 Mahanama and the former State Timber Corporation Chairman P. Dissanayake, who were arrested by the Bribery Commission while accepting a bribe worth Rs. 20 million were further remanded until July 13. The duo were arrested at a parking lot of a high-end hotel in Colombo from an Indian Businessman in May. They had taken the bribe from the businessman pledging to aid them to obtain proper approval required to attain certain machinery and building space he needed for projects. both are known to me personally. very sad. they must be given maximum punishment if felt guilty as a warning to other officers in their caliber in public service. .